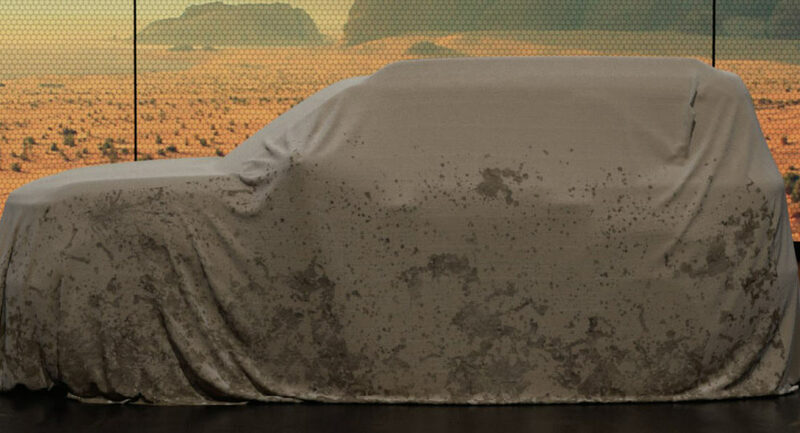 Ford has been tight-lipped about the 2020 Bronco as they’ve only released a handful of teaser photos suggesting the model will be squarely aimed the Jeep Wrangler. Ford’s silence is starting to break as the company’s North American president, Kumar Galhotra, has provided a few hints about the highly anticipated SUV. Speaking to Automotive News, around the 8:40 mark, Galhotra describes the Bronco as a brand asset that has a lot of name recognition. He goes on to say whatever model wears the nameplate needs to live up to expectations associated with the moniker. In essence, Ford doesn’t want to pull a Chevy and revive a classic name – like Blazer – only to slap it on a crossover and call it a day. Galhotra went on to say the Bronco name implies a certain styling and noted designers had to determine which classic styling cues made the Bronco, a Bronco. He added their designers have plenty of experience with this as the company’s latest Mustang is still recognizable as a Mustang even after 55 years. 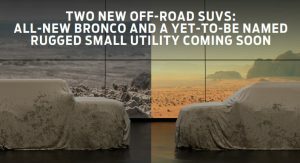 The Bronco name also means the model will have a certain kind of capability and Galhotra says the automaker has to “deliver on that.” He didn’t go into specifics, but the executive is likely taking about off-road performance. Unsurprisingly, Ford has been conducting a lot of research on the Bronco and Galhotra said they’re listening to both Bronco enthusiasts as well as younger consumers who have never driven a Bronco before. Speaking of the latter, he said older Broncos are one of most popular vehicles with millennials. I have a good feeling about this one.. They need to do something because they have a very uninspiring range of vehicles atm. Hurry…the…eff….up!! I am dying!! It might be a good one. It will be a Wrangler competitor. Ford has every crossover covered in each class. There’s no reason they would make this Bronco an another crossover-like and slot in between what? Nope. Stand alone off roader. Let’s see!! Given that Jeep has been selling Wranglers, especially the 4-door, in pretty amazing numbers for about a decade, it surprises me that there has been no real direct competitor for a very long time. Have there been reports and spy shots of new Broncos on notable trails like the Rubicon and others? I have not seen any, but haven’t been looking for them. 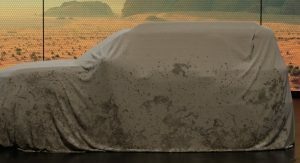 I would think – and I’m sorry if this throws shade – that if they were really making a Wrangler competitor, they would have been seen testing offroad. I would like to see a competitor to Wrangler, if for no other reason than competition improves the breed, but I am not betting a lot on the Bronco being it. Don’t let us down, Ford. 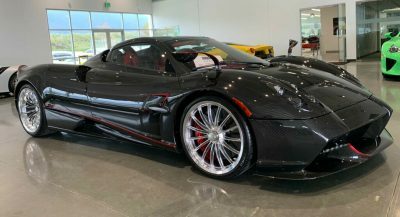 Hopefully the hybrid will be legit. 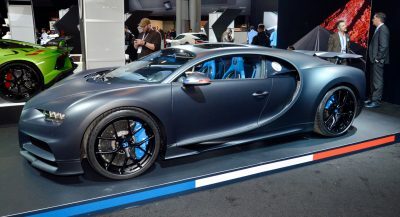 I would rather have it over the CR-V hybrid if it’s great on gas. “Ford doesn’t want to pull a Chevy” did with the Blazer …haha love it.. 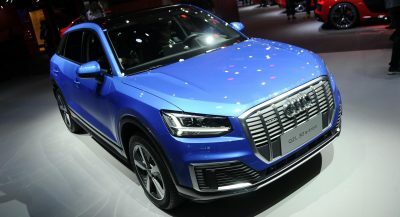 I just don’t want a disappointing surprises anymore, I hope its really good, rugged, big, strong, very good on road and off road and not another CUV that goes against the Blazer or Rav4. Give me a Prado or 4Runner equivalent and im happy. 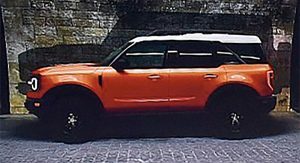 It’s public knowledge that it will not be a CUV and its underpinnings are a true truck frame. 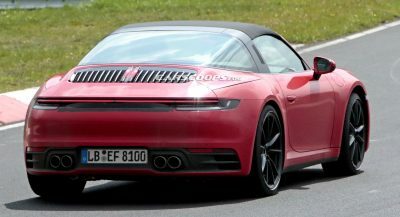 I know… I just pray that its more into the like of the latest Wrangler, than the newest blazer!! I’m really looking forward to seeing this. I can’t wait. But sometimes, Ford has a way of disappointing us when they cut corners. We’ll see I guess. I hope it turns out good. FORD! Don’t you go SUPRA on us and tease us nonstop. Just show the truck and nobody has to get hurt, deal?! Does anyone know when it is meant to be revealed? Anyone else remember the Bronco II? Let’s hope that doesn’t happen again….